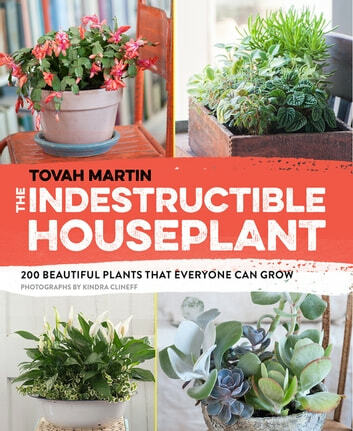 The Indestructible Houseplant, by garden writer Tovah Martin, eliminates the guesswork by highlighting indoor plants that are tough, beautiful, reliable, and readily available. Like hoya, a low-maintenance plant whose spectacular spring and summer blossoms actually thrive on neglect. Or Ficus elastica (also known as rubber tree), whose pink and gray leaves will brighten even the most challenging windowless environment. And castiron plant, an old favorite that remains beautiful in a shady corner, even after weeks without water. 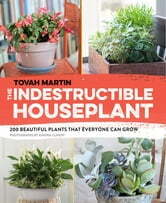 In addition to plant profiles with concise information on water, light, and blooming times, this gorgeous book includes tips on care, maintenance, and ideas for combining houseplants in eye-catching indoor displays.